Graphics programming is a hot topic because of the growth of game development and animated movies in recent years. Thanks to them, Animated graphics have gone from focused markets to mainstream. As a consequence, there is a fast pace of innovation and huge competition at the 3D graphics hardware realm. Therefore rendering API’s must keep up with vendors in order to provide interfaces for cutting edge features that might make the difference in terms of quality in the content we consume, this is what makesthe OpenGL Extension Wrangler Library (Glew) relevant. Instant Glew is part ofPackt pub’s Instant series described as "a short, fast, focused guide delivering immediate results". The book is listed at USD$12.74 for a digital download in Packt pub's site and USD$19.58 for the paperback edition in Amazon. Before reading the material I had high hopes for it to become my default reference material on a not very rich and deep subject, but after taking a couple of days to go through it thoroughly I ended up a little disappointed. The only good thing about the book is that it gives a good introduction to Glew and OpenGL extensions as a whole. It provides detailed information as of where OpenGL extensions stand in the graphics pipeline and why to use them.Other than that, it feels like a long technical blog post that got published as a book. The book fails to explore Glew's and OpenGL's multi-platform capabilities by only providing a thorough description of how to "install" Glew in Windows with Visual Studio.I understand, this is a tendency in many technical books since this is the most common setting in the gaming industry. But, there’s no harm in pointing users to other sources of information for setup instructions in other platforms. Specially since merely most of the content in the book revolves around the installation guide. Finally, the code used in the examples uses legacy OpenGL & GLSL programming styles. There’s code for loading and compiling shaders but there's no convincing description for why to use them and what’s the difference between the fixed function pipeline and the shader pipeline.In addition, some of the extensions used in the examples are part of the OpenGL core already. My personal opinion is, that there should be a special attention to the OpenGL extension types and the meaning of the sufix in the extension functions (i.e. ARB). 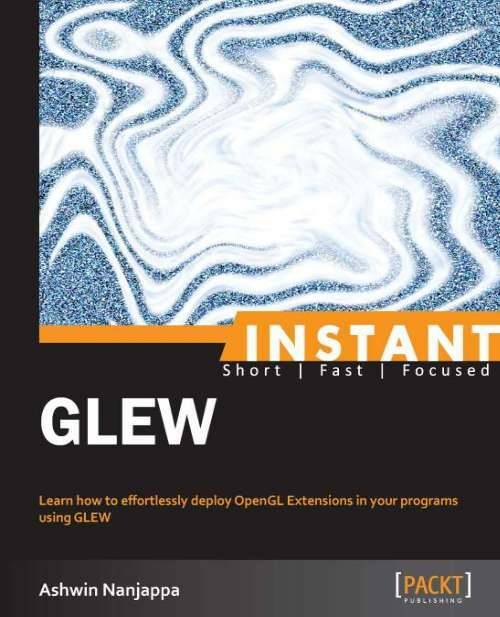 Also, the most important feature of Glew is determining at runtime which are the OpenGL extensionssupportedby the target platform. I don’t see the point of paying for an installation guide when the documentation for this purposesis of public domain as well as other thorough information about OpenGL extensions in general. There’s no special reason that separates the book’s content from information you can already can find for free on the web. Raúl is an experienced software developer, particularly using Microsoft's .NET stack & C++. His interests range from math related problems, to Game/Web development. Mr. Roa turns 2 today!